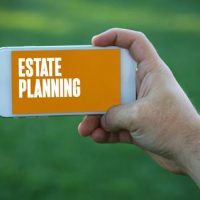 Estate planning can seem like a complex process and something that may not apply to you if you are young or do not have significant amounts of property and assets. However, what it does is protect you and your loved ones against unexpected events which can happen to anyone, such as accidental injuries, the diagnosis of a serious illness, or the onset of disabilities. Do you want to ensure your business remains intact in the event of a situation that leaves you unable to attend to important tasks? Do you want to ensure a spouse, children, or loved ones are provided for in the event anything happens to you? Do you want to make sure a non-profit or charitable foundation receives a certain portion of your money in the event of your passing? These are all important goals which estate planning can help you achieve. Do you own your home or other types of real estate? Do you own a business or a share in a partnership? Do you have money in savings, investment accounts, or retirement funds? Do you have potentially valuable personal belongings, such as artwork, collectables, jewelry, and antiques? Doing a complete inventory of all your property and assets will provide a better picture of your overall worth and the items that will need to be included in an estate plan. Do you currently suffer a chronic condition that could leave you permanently impaired at some point in your life? Does your family rely on your income for financial support, mortgage payments, and other debts? Do you have few close relatives who could be called on to provide long term care in the event of a serious injury or illness? Your answers to these types of questions can help determine the level of protection you need. What legal documents do you currently have in place? Have you taken the steps to create a will? According to the American Association of Retired People (AARP), more than 60 percent of adults have not. What about advance planning directives? These let others know the type of care you desire in the event circumstances prevent you from communicating these wishes yourself. Do you have young children or those with special needs? A trust can ensure their financial needs are met in the years to come. Cavallo & Cavallo is a trusted legal resource for answering your estate planning questions. To request a consultation to discuss the documents you need to have in place, contact our New York estate planning attorneys to schedule a consultation in our Bronx or New Rochelle office today.